There's a renewed push to bring film production back to the Garden State. 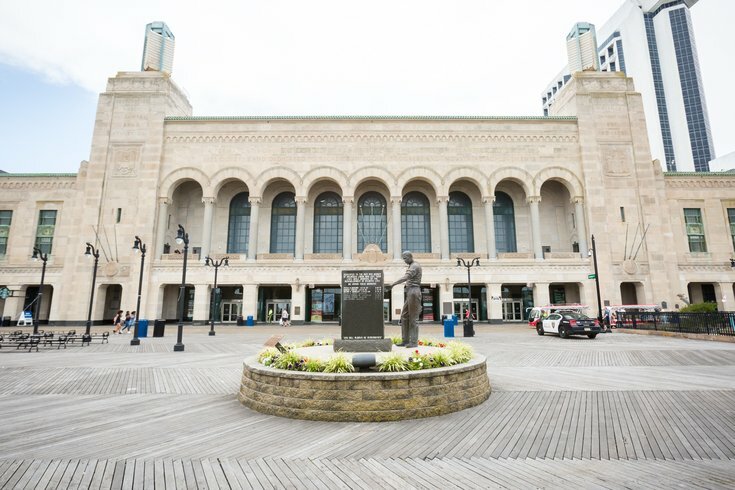 Boardwalk Hall in Atlantic City. In 2010 HBO premiered “Boardwalk Empire,” a drama starring Steve Buscemi that, despite being set in Atlantic City during the Prohibition Era, was filmed entirely at a Brooklyn sound studio. Though the show went off air in 2014, New Jersey State Sen. Chris Brown has not forgotten. In fact, the missed opportunity to film “Boardwalk Empire” locally was the central argument throughout Brown’s push for the state to offer tax incentives that will lure more film crews to the area. Amazon wants to know: Can Philly bring the talent? “... [O]nly New Jersey’s high taxes can make building a replica boardwalk in Brooklyn cheaper than filming on the real Boardwalk in Atlantic City,” Brown said as he advocated for the Garden State Film and Digital Media Jobs Act, the Press of Atlantic City reported. The legislation is designed to counteract former Gov. Chris Christie’s 2016 veto of tax credits for media production. Now that he's out of office, speculation has risen that more movies will be filmed in New Jersey again – previously movies shot in Atlantic City include "Ocean's 11," "Snake Eyes," and "The Long Kiss Goodnight," among others. The setting has often been used as a cheaper alternative to filming in Las Vegas. Brown is co-sponsoring the bill, which also has backing from members of the movie industry, in the hopes to offer better tax breaks to crews who set up shop in AC. Right now, the Press of Atlantic City notes, crews only receive breaks on sales tax while shooting. If the bill moves forward, it could bolster more jobs to the area and curb some of the outsourcing of production and talent, Brown argues. This applies even to local commercials, such as for casinos, which Brown said don’t even have Atlantic City residents in them. In March the bill cleared the New Jersey Senate and then the Assembly Appropriations Committee last week, though there are still some hoops the bill must undergo before it becomes official. In the meantime, enjoy the following trailer.